When it comes to the Kentucky Derby, the traditions associated with it receive almost as much attention as the race itself. Those just learning about Kentucky Derby traditions for the first time or who need a bit of a refresher should appreciate the brief history lessons below. Today’s race fans enjoy drinking a mint julep cocktail out of a tall pewter or silver cup while watching the Kentucky Derby in person, at home, or at a party. The ingredients of the drink include bourbon, sugar, water, and mint. Although no one knows for certain how the mint julep came to be associated with the Kentucky Derby, it makes sense when considering that Kentucky produces 95 percent of the world’s bourbon. It has been the official drink of the Kentucky Derby since 1938. When the Kentucky Derby debuted in 1875, many in American culture considered it an immoral event. They thought the same thing about Churchill Downs, the venue for the Kentucky Derby. To ensure that his premiere event would attract a large crowd, Meriwether Lewis Clark, Jr., the founder and developer of Churchill Downs, encouraged wealthy women to attend the event with their friends. As large hats were in fashion at the time, they helped to change the culture of the race from something immoral to something where high society men and women wanted to be seen. People soon began to view wearing a large and fashionable hat as good luck and the tradition has stuck all these years. Men tend to wear elaborate hats as well, although they are not nearly as tall or wide as those worn by women. Ben Brush was the first jockey to receive roses after winning the Kentucky Derby in 1896. The color red is symbolic to represent the heart and struggle required to make it to the winner’s circle. Although Brush originally received white and pink roses, the tradition quickly changed to placing a garland of red roses around the neck of the winner. Red roses became the official flower of the Kentucky Derby in 1904. Written by Stephen Foster in 1852, the song My Old Kentucky Home describes the landscape and natural beauty as viewed by an enslaved servant. Kentucky Derby officials first played the song in 1921, and it became the official song of the event by 1928. As the 1800s gave way to the 1900s, progressive groups attempted to eliminate bookmakers at the Kentucky Derby. This would have had a devastating impact on horseracing across the United States. As an alternative to bookmakers, Kentucky Derby official Matt Winn proposed parimutuel betting. This form of electronic betting required no bookmakers since betters pooled their money together and officials calculated payoffs from the total amount of money collected. 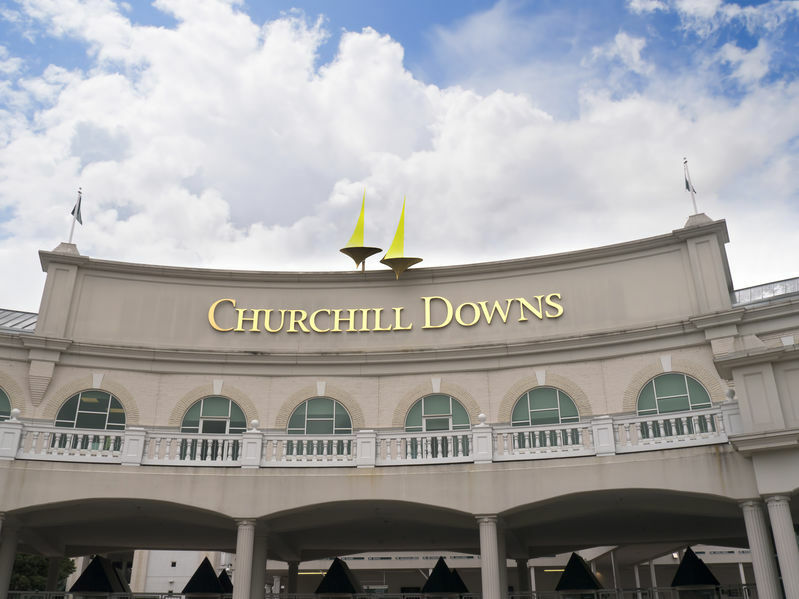 Because the technology was widespread in France but not the United States, Winn worked with French officials to help him locate machines here that he could purchase and transfer to Churchill Downs. Gambling has remained a beloved derby tradition ever since.